Providing emergency food to local people in crisis. We don't think anyone in our community should have to face going hungry. That's why we provide three days' nutritionally balanced emergency food and support to local people who are referred to us in crisis. 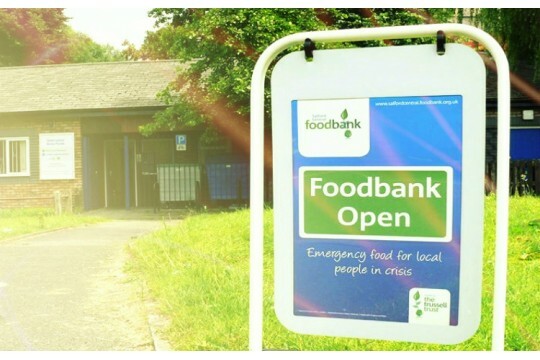 We are part of a nationwide network of foodbanks, supported by The Trussell Trust, working to combat poverty and hunger across the UK. could help give a mother peace of mind that her family will not go hungry. could help support someone take their first steps out of poverty. could help us give more people a place to turn to in times of crisis.